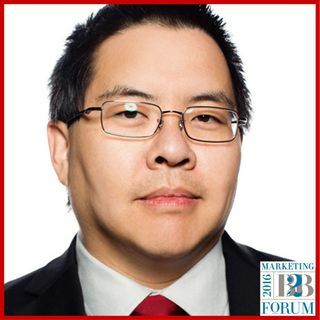 Christopher Penn, Vice President of Marketing Technology for SHIFT Communications, joined Jeff Julian at MarketingProfs’ B2BForum to discuss podcasting, customer journey mapping, content marketing, and strategy. Chris is co-host of the very successful Podcast, Marketing Over Coffee, that is well worth a subscription. To kick off the show, Chris describes his recent presentation and the challenges of customer journey mapping for marketing teams. My favorite quote was when he said that ... See More marketers “scrap off the word funnel off” when building their journeys. With this approach, paired with SOS, shiny object syndrome, most marketers are set up for failure due to their lack of clarity and planning. If this is a little close to home, you are not alone, and you can turn around now and get back on the right path. Chris tells his audiences to think of the problem by answering three questions in this order: why, what, and how. Why is it important? What does it do? How do I use it? By taking this approach, you will have to slow down to determine value before you jump in.